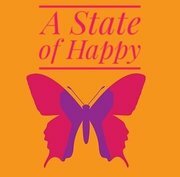 A State of Happy is more than just the emotion. It's a life changing course, in achieving and staying in a state of alignment. Join me in my great big experiment of staying joyful, connected, calm and happy no matter what the external circumstance. The course offers learning of the natural laws that govern us and are supported by assignments that will help you deep dive into transformation. Chakras are energy systems that run through our entire body. They govern the physical, emotional and spiritual functions and work as our personal guidance systems. What if you could learn to harness these energies to create the reality you want, not only physically with health and wealth but a wellness that has your Body, Mind and Soul aligned. Money, Creativity, Stability, Love, Relationships and everything in between. Nothing is impossible, if only you knew which Chakra energy is at work. An easy to use e-book which is an exercise to understand the deeper self. 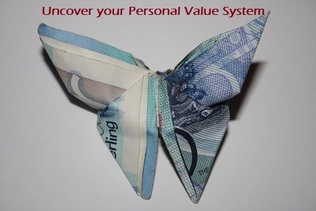 Follow the series of questions to identify your core values. Use these to set goals and make life decision which is aligned to the person you are. Whether your goals are materialistic, spiritual or currently unknown, I believe this workbook will work for you. The four part e-book includes tools to set goals, break it down and formats that increased focus and clarity that will help you track and achieve goals. There are exercises to get you aligned too. Donate With Love - Thank you!